Let’s be honest, most of us do not have the time, energy or inclination to spend hours upon hours clipping and organizing coupons. However, just because we you don’t have time to coupon doesn’t mean you don’t deserve to save a little cash on your food budget. So here 10 tips to from Simple Living Australia to show you how they save money downunder. 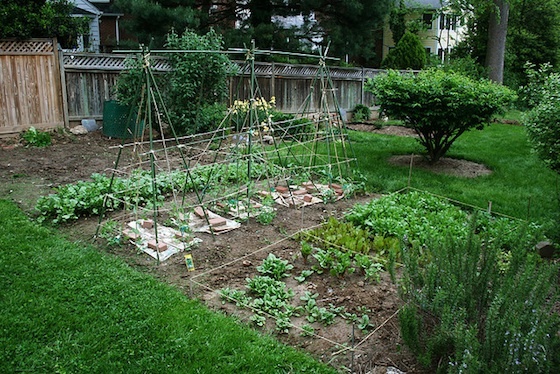 One of the easiest, most cost efficient ways to save cash on your food budget is to plant a garden. If you have a lot of space, consider planting tomatoes, peppers, celery, lettuce and onions. You can even grow your own corn, strawberries and melons, which could save you several hundred dollars per year. If you have a small space, consider herbs like mint, parsley and basil. Miniature strawberries and tomatoes also work well in limited space. In most homes, meat is the most expensive ingredient for any meal. Make a goal to eat vegetarian at least twice a week and reduce the amount of meat you need to purchase. Check local advertisements for deli sales and plan your meat purchases around those sales. It could save you quite a bit if you stock up on meat while it is cheap. Oil based dressing are healthier than creamy dressings and they are a snap to make! If you have olive oil, vinegar and a few spices in your cupboard, you can whip up vinaigrette in less than five minutes for a fraction of the cost. When you are creating a grocery list, include what you already have in your cupboard into meals. This will help you save on expired items and require you to purchase fewer items while you are at the store. Devote about 30 minutes before each shopping trip to create a menu for the next week or two. Look in your cupboards and fridge to incorporate what you have and only buy what you need to make the meals you have planned. Only buy what is on your list! If you can, consider purchasing some staple items like flour, sugar and salt in bulk. Buying in bulk is often cheaper overall than purchasing smaller quantities multiple times. Plus, you won’t need to make an emergency run for these items, where you might add a few extra items to the cart. Do not just visit one store because you like it. You could save hundreds of dollars a year visiting other stores. Check local coupons each week to see who has the best savings and shop there. To save even more money, consider making multiple stops on your grocery route and buying items at several stores. You do not have to coupon, but checking sales prices is a great way to save cash. Combine local sales with planning a head and you have a quick, easy way to keep your grocery budget low. Plan your meals around items you can get cheaper. You may have to get a little creative. Save hundreds per year by cooking most of your meals at home and skipping lunches at the drive thru. Your waist line will thank you too! Previous Article Can you Patent an Idea?